Why look for a makeup salon in Bangalore when you can get all the services at your home. We, at UrbanClap, have best makeup artists in Bangalore who specialize in giving you the best party makeup in Bangalore. Be the best of your self and outshine others at the party. We assure you of providing you with a trained, trustworthy and the best makeup artist in Bangalore. 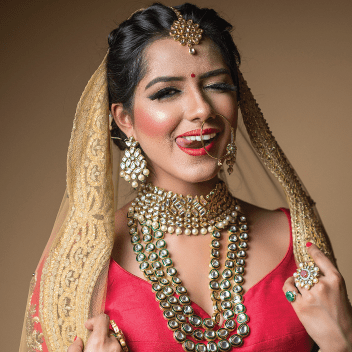 Services provided by the best makeup Artists in Bangalore include basic party makeup, classic party makeup, high-quality party makeup and heavy and detailed party makeup. Divya was very friendly ,punctual in her work. She made sure to ask me my requirement or any specific makeup issues i had and worked upon perfectly. She adjusted to the hotel room we provided her as the wedding was outside Bangalore. The makeup was very was superb and got appreciation from all the relatives& friends,and the makeup looked excellent in photos too. The service was just brilliant. Sushma was an absolute professional. The make up, draping of saree and the hair style were all on point and picture perfect!! Sushma is an excellent professional. She has a warm personality, endearing her instantly with the customer. She establishes good rapport and makes the client comfortable. She draped my silk saree so well, it did not budge an inch throughout the event I attended. Moreover, I looked slimmer than ever, earning compliments!! She set my hair just the way I wanted. Thank you Sushma. Keep up the good work!! Sorry for a late review. I was not keeping well for a while. I will definitely hire Sushma again, any day. She s good , she was right on time .. very flexible .. keeps good quality cosmetics .. gave me exactly what I needed .. not too flashy not too dull .. Thanks neeti .. Very satisfactory service !! All the best!! Cordial clean and loving services!! She is excellent in her work. Neat work. It was an average experience. I told her that my skin is a bit oily but she did not take care of that and my face looked oily after the makeup. Though , she did nice makeup but I was not 100% satisfied. Apart from this issue, everything was perfect, her behaviour, her timing, very cooperative. I just loved the makeup and hair do.it was really fun working with you.Very friendly and made me feel comfortable with the makeup.Thanks for the makeover. It was a wonderful experience. It was never over done bt still glowing one and a complete makeover. I only tried the party look by her and looking forward to try other looks to find a new and confident me. The metamorphosis she does to one with her touch of brush is amazing! And this is what she has done to me when I visited her last, it was my best friend's wedding and I needed to look best, hence on my friend's recommendation I contacted Debjani's, and wow I actually looked more beautiful than the bride herself!!! Thanks a lot Debjani for this beautiful avatar :), kudos to you. Would recommend everyone who wants to stand tall in the crowd to visit her. I would like to rate Miss Sindhu Pramod a 3star for my Wedding MakeUp work,I feel that she was not that much of a professional person and was kind of ok, I feel that her pricing was way more than her actual work! Not taking her service again!! Sindhu is a wonderful makeup artist, who is very friendly, patient and professional. Makeup done by her, gave me a perfect look for the event. I had opted for detailed make up... And Deepa made me look ravishing... She was on time and was done with my make up and hair do with in an hour... She is well versed with her job and is quick... Everyone at the party acknowledged and appreciated my make up and hair do... I was extremely happy with the way I was dolled up! Thank you Deepa, will definitely use your services in future.. Very patient and friendly...Thanks sudha for the gorgeous look you created for me. Sunitha is very professional .She understood my requirements and worked accordingly .She is very patient and obliging .She did an excellent job . When you have to attend a wedding, host a party, celebrate your anniversary or some close ones throwing a baby shower, a skilled makeup artist should deck you up so that you get the best makeup look. 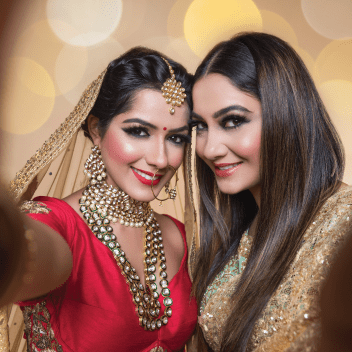 Be it any occasion, your photos would turn out great. When you hire a makeup artist who is skilled and professional, the base would be seamless, the makeup would last long and you would get a stylish eye makeup. It can be challenging to do all this if you are planning to do it all by yourself. 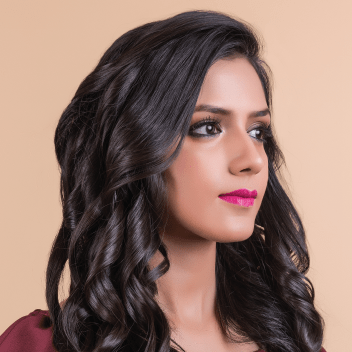 Trained Professionals: UrbanClap has the top party makeup artists in Bengaluru. The professionals are verified and highly experienced. Quality Makeup: All our expert makeup artists from UrbanClap use genuine products. Convenience: An appropriate makeup artist is sent from UrbanClap to your house with the essentials required to give you the best makeup look. Fast Service: To get clothed for any function at your house, you can easily book up to 3 hours beforehand. It is important to moisturise your face before applying makeup so that it can be applied easily. Moisturisers prepare the face and the makeup won’t look cakey. A flaky makeup look is caused by dry skin. The MUA would be able to know your style choices when you share her some photos of different makeup looks as well as hairstyles as reference. Skilled makeup artists can discern which type of style would flatter your face shape, your skin type and your garb. Share with the MUA a couple of photos as reference of different dressing styles you like when you want to get dressed in dupatta or sari. When you change after the hairstyle and makeup is done, you may end up ruining them. Wear a top or a button-down shirt and put on a blouse before the makeup application and hair styling begin. When you have to apply makeup, do hairstyling or dressing at the venue, take along with you your dress, footwear, jewellery, and a button-down shirt. Take along with you your favourite makeup product, as the MUA would be apply on you. If you want a minor touch-up at the site where the function is happening, take a small touch-up kit comprising of concealer, moisturiser, foundation, blotting paper, a few pins and lipstick. Makeup must not be applied right away after a facial treatment. A facial treatment should be done 2 days prior to any makeup session. Let the MUA know about the styles you prefer by showing her some photos as reference. Share your concerns about the makeup while the MUA is applying it to you. Just don’t wait for the session to get over so that the MUA can redo the changes. It is convenient for the MUA to make changes during the session, as most likely, you would not be able to find time to apply makeup again. Be open about your dislikes while talking to your MUA. For instance, let the MUA know that you are not looking for an eyelash extension or a dramatic winged liner. A good MUA would appreciate that. Assess your makeup look by taking photos in different lighting conditions - artificial and natural. The base must have the same tone as the colour of your skin. If the colour on your neck, back and face are different, ask your makeup artist to apply foundation on the uncovered parts of the skin. You should request the makeup artist to lightly dab some moisturiser on the dry spots if the makeup looks flaky. Concealing pimples, acne marks, and blemishes entirely may look odd and they should be hidden only to a certain amount. You should check if they have been covered until it pleases you. When the makeup does not turn out the way you had expected, request the MUA to make the makeup look bold or simply soften it. Use a cotton swab to dry the waterline of your eye before putting on kajal. This makes the kajal to last for a longer period. Primer should be put on the face and also, on top of the eyelids before the makeup is applied. The makeup lasts longer this way. While styling your hair, if it is getting pulled, you won’t feel comfortable. Let the hairstylist know and she will change the position of the pins. You should tilt your head to check whether the hairstyle is not opening up. For sari fitting, you would need to see if the pleats are not opening and if you are finding it comfortable to sit and stand and also, check that the sari does not open.